The UROS gene provides instructions for making an enzyme known as uroporphyrinogen III synthase. This enzyme is involved in the production of a molecule called heme. Heme is vital for all of the body's organs, although it is most abundant in the blood, bone marrow, and liver. Heme is an essential component of iron-containing proteins called hemoproteins, including hemoglobin (the protein that carries oxygen in the blood). The production of heme is a multi-step process that requires eight different enzymes. Uroporphyrinogen III synthase is responsible for the fourth step in this process, in which hydroxymethylbilane (the product of the third step) is rearranged to form uroporphyrinogen III. In subsequent steps, four other enzymes produce and modify compounds that ultimately lead to heme. CLINUVEL PHARMACEUTICALS LTD (ASX: CUV; XETRA-DAX: UR9; NASDAQ INTERNATIONAL DESIGNATION: CLVLY) today announced that it has completed the submission of a New Drug Application (NDA) for its drug SCENESSE® (afamelanotide 16 mg) as the first proposed therapy for patients with the rare metabolic disorder erythropoietic protoporphyria (EPP) in the United States. An approved NDA will allow CLINUVEL to make SCENESSE® available to adult EPP patients in the US as a first-line therapy. REGULATORY TIMELINESSince 2005, CLINUVEL has been in regular and frequent communication with the US Food and Drug Administration (FDA) to discuss the development program for SCENESSE® as a preventative treatment for adult EPP patients. The FDA granted SCENESSE® orphan drug designation for EPP in 2008. In July 2016 the FDA awarded Fast Track Designation allowing the Company to make its final regulatory submission. On 24 October 2016, the FDA initiated a public Scientific Workshop on EPP in Silver Spring, Maryland, to gain more, and first-hand, information on the characteristics and impact of the disease from EPP patients and their families. In November 2016, the FDA concluded that CLINUVEL’s scientific data were ready to be filed as part of a rolling review for evaluation under an NDA. The rolling review enabled the Company to make its NDA submission in parts; the FDA’s scientific review time starts once the final module has been filed and validated. The regulatory validation of the submitted dossier is now expected to take two months, after which a target date for the completion of the review may be provided (PDUFA date). CLINUVEL has filed for Priority Review and awaits the FDA’s answer to the request for scientific review on an abbreviated basis. Under a Priority Review, the FDA aims to arrive at a benefit versus risk assessment within six months from final submission, whereas a standard scientific review is estimated by the FDA to take up to ten months. In October 2014 the European Medicines Agency (EMA) granted SCENESSE® marketing authorisation.1 The product was launched in Europe in June 2016. As part of the NDA dossier, CLINUVEL submitted data and analyses from five clinical trials in EPP, data from Compassionate Use and Special Access Schemes, and data from the real-world experience of EPP patients receiving treatment in Europe. The data set consists of nearly 6,700 doses in more than 800 patients. The safety profile of SCENESSE® has been positive to date and includes longer term exposure (over 12 years) from patients involved in multiple consecutive programs in Europe. A post-authorisation pharmacovigilance plan to monitor patients in the US long-term is part of the NDA submission. “We consciously awaited validation of the EMA’s Annual Report to add real world data to our FDA submission, since it is apparent that real-time data from patients demonstrate ultimately whether a novel pharmaceutical product offers the expected benefit or not. Since introducing SCENESSE® in Europe we have seen that over 98% of the EPP patients on treatment request the drug for a second treatment year. I specifically wanted to see the real clinical demand and, indirectly, effectiveness of the therapy, incorporated into our final NDA submission,” Dr Wright said. 1SCENESSE® (afamelanotide 16mg) is approved in Europe as an orphan medicinal product for the prevention of phototoxicity in adult patients with EPP. Information on the product can be found on CLINUVEL’s website at www.clinuvel.com. CLINUVEL PHARMACEUTICALS LTD (ASX: CUV; NASDAQ INTERNATIONAL DESIGNATION ADR: CLVLY; XETRA-DAX: UR9) is a global biopharmaceutical company focused on developing and delivering treatments for patients with a range of severe genetic and skin disorders. As pioneers in photomedicine and understanding the interaction of light and human biology, CLINUVEL’s research and development has led to innovative treatments for patient populations with a clinical need for photoprotection and repigmentation. These patient groups range in size from 5,000 to 45 million worldwide. CLINUVEL’s lead compound, SCENESSE®(afamelanotide 16mg), was approved by the European Commission in 2014 for the prevention of phototoxicity (anaphylactoid reactions and burns) in adult patients with erythropoietic protoporphyria (EPP). More information on EPP can be found at http://www.epp.care. Headquartered in Melbourne, Australia, CLINUVEL has operations in Europe, Switzerland, the US and Singapore. 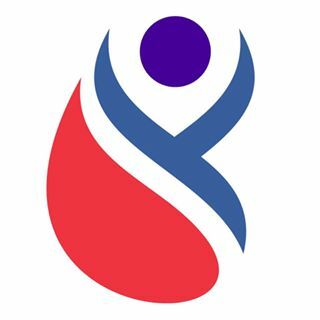 SCENESSE® is a registered trademark of CLINUVEL PHARMACEUTICALS LTD.
Erythropoietic protoporphyria (EPP) is a rare metabolic disorder that causes severe anaphylactoid reactions to light (phototoxicity). Patients incur physical burns and ulcers, and are in state of crisis following light exposure, summarised as phototoxicity. This usually occurs within minutes of exposure to bright lights, especially sunlight. This release to the Australian Securities Exchange and to press may contain forward-looking statements, including statements regarding future results, performance or achievements. These statements involve known and unknown risks, uncertainties and other factors which may cause CLINUVEL’s actual results, performance or achievements to be materially different from any future results, performances or achievements expressed or implied by the forward-looking statements. These statements reflect our current views with respect to future events and are based on assumptions and subject to risks and uncertainties. Given these uncertainties, you should not place undue reliance on these forward-looking statements. Some of the factors that could affect the forward-looking statements contained herein include: that the FDA may require additional studies beyond the studies planned for product candidates or may not provide regulatory clearances, including for SCENESSE®; that the FDA may not provide regulatory approval for any use of SCENESSE® or that the approval may be limited; that CLINUVEL may never file an NDA for SCENESSE®regulatory approval in the US; that the Company may not be able to access adequate capital to advance its vitiligo programs; that the Company may not be able to retain its current pharmaceutical and biotechnology key personnel and knowhow for further development of its product candidates or may not reach favourable agreements with potential pricing and reimbursement agencies in Europe and the US. The PPOX gene provides instructions for making an enzyme known as protoporphyrinogen oxidase. This enzyme is involved in the production of a molecule called heme. Heme is vital for all of the body's organs, although it is most abundant in the blood, bone marrow, and liver. Heme is an essential component of iron-containing proteins called hemoproteins, including hemoglobin (the protein that carries oxygen in the blood). The production of heme is a multi-step process that requires eight different enzymes. Protoporphyrinogen oxidase is responsible for the seventh step in this process, in which two hydrogen atoms are removed from protoporphyrinogen IX (the product of the sixth step) to form protoporphyrin IX. In the final step, another enzyme modifies protoporphyrin IX by inserting an iron atom to produce heme. The UROD gene provides instructions for making an enzyme known as uroporphyrinogen decarboxylase. This enzyme is involved in the production of a molecule called heme. Heme is vital for all of the body's organs, although it is most abundant in the blood, bone marrow, and liver. Heme is an essential component of iron-containing proteins called hemoproteins, including hemoglobin (the protein that carries oxygen in the blood). The production of heme is a multi-step process that requires eight different enzymes. Uroporphyrinogen decarboxylase is responsible for the fifth step in this process, in which carbon and oxygen atoms are removed from uroporphyrinogen III (the product of the fourth step) to form coproporphyrinogen III. In subsequent steps, three other enzymes produce and modify compounds that ultimately lead to heme. Do you have PCT? Are you interested in participating in research? Do you have Hepatitis C? If you answered YES to these questions, this is for you. We need YOU for a clinical trial! The purpose of this clinical trial is to assess whether Harvoni alone is an effective therapy in active PCT patients with Chronic Hepatitis C.
If you are interested in participating please contact Edrin Williams, Director of Patient Services at the APF office at 301.347.7166 for additional information. 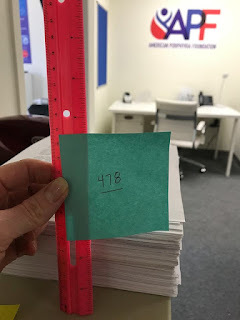 PRIORITY REVIEW letters sent to the FDA!! You are an amazing community! We had a great response to the call urgent call to action for patient letters. 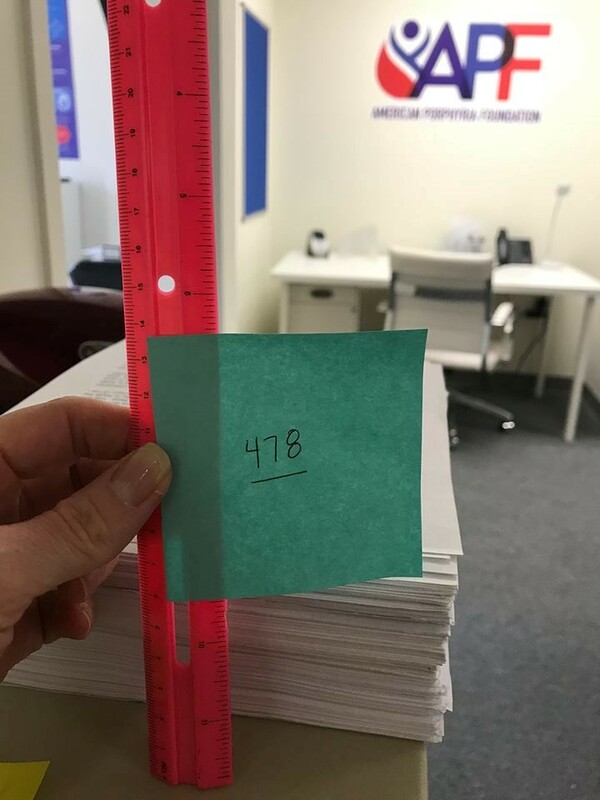 511 letters, a petition, and many poignant photos were sent to the desks of decision-makers at the FDA requesting Priority Review for SCENESSE (afamelanotide 16mg). The new drug application for this treatment was submitted to the FDA on June 22. The FDA has sixty days to decide if the filing will receive Priority Review (6 months) or Standard Review (10 months). Our EPP patients have waiting long enough for treatment. We hope receipt of these letters will help urge the FDA to select the quicker path to treatment. Nearly 6,700 doses have been implanted in over 800 patients. WANT TO DO MORE? Check out these In-District Lobby Days below and call your legislators to ask them for help. You can participate in In-District Lobby Days! From July 31st through September 4th, rare disease advocates from across the country will surge into the district offices of their Members of Congress to advocate for legislation benefiting the rare disease community. The registration deadline for this event has passed. However, you can still contact your legislators offices while they are in-district. The American Porphyria Foundation can help you with issues and talking points important to each type of porphyria. EPP Clinical Trials – Participants Needed! Please contact the APF on 866-APF-3635 to request information on these new clinical trials. There are seven study sites across the US that need your participation. Do you want a new treatment for EPP? – then come be part of the solution. Remember…Research is the Key to Your Cure!! Every step along the way is important. The HFE gene provides instructions for producing a protein that is located on the surface of cells, primarily liver and intestinal cells. The HFE protein is also found on some immune system cells. The HFE protein interacts with other proteins on the cell surface to detect the amount of iron in the body. The HFE protein regulates the production of another protein called hepcidin, which is considered the "master" iron regulatory hormone. Hepcidin is produced by the liver, and it determines how much iron is absorbed from the diet and released from storage sites in the body. When the proteins involved in iron sensing and absorption are functioning properly, iron absorption is tightly regulated. On average, the body absorbs about 10 percent of the iron obtained from the diet. The HFE protein also interacts with two proteins called transferrin receptors; however, the role of these interactions in iron regulation is unclear. The HMBS gene provides instructions for making an enzyme known as hydroxymethylbilane synthase. This enzyme is involved in the production of a molecule called heme. Heme is vital for all of the body's organs, although it is most abundant in the blood, bone marrow, and liver. Heme is an essential component of iron-containing proteins called hemoproteins, including hemoglobin (the protein that carries oxygen in the blood). The production of heme is a multi-step process that requires eight different enzymes. Hydroxymethylbilane synthase is responsible for the third step in this process, which combines four molecules of porphobilinogen (the product of the second step) to form a compound called hydroxymethylbilane. In subsequent steps, five other enzymes produce and modify compounds that ultimately lead to heme. The CPOX gene provides instructions for making an enzyme known as coproporphyrinogen oxidase. This enzyme is involved in the production of a molecule called heme. Heme is vital for all of the body's organs, although it is most abundant in the blood, bone marrow, and liver. Heme is an essential component of iron-containing proteins called hemoproteins, including hemoglobin (the protein that carries oxygen in the blood). The production of heme is a multi-step process that requires eight different enzymes. Coproporphyrinogen oxidase is responsible for the sixth step in this process, the removal of carbon and oxygen atoms from coproporphyrinogen III (the product of the fifth step) to form protoporphyrinogen IX. In subsequent steps, two other enzymes modify protoporphyrinogen IX and incorporate an iron atom to produce heme. The FECH gene provides instructions for making an enzyme known as ferrochelatase. This enzyme is involved in the production of a molecule called heme. Heme is vital for all of the body's organs, although it is most abundant in the blood, bone marrow, and liver. Heme is an essential component of iron-containing proteins called hemoproteins, including hemoglobin (the protein that carries oxygen in the blood). The production of heme is a multi-step process that requires eight different enzymes. Ferrochelatase is responsible for the eighth and final step in this process, in which an iron atom is inserted into the center of protoporphyrin IX (the product of the seventh step) to form heme. The new drug application for Scenesse has been submitted to the FDA - and it is time to advocate! We need your letters to the FDA Commisioner requesting Priority Review. Please send your letter immediately to add to our growing pile!! It is starting to look impressive! All letters must be signed and emailed to the APF this weekend. We will submit the letters to the FDA on Monday July 23, 2018. We will present all of the letters at once to the FDA! Right now we have 478 letters. Let's get to 500! Please send letters today! Time is of the Essence! You can now support the APF through the AmazonSmile program! Amazon will donate 0.5-0.8% of the price of your eligible purchases to the APF, at no cost to you. Please make the APF your choice of a charitable organization. Support porphyria research while shopping! It is easy and free! AmazonSmile is the same Amazon you know – same products, same prices, same service. Research is the key to your cure! What is the most important element in research? YOU! You now have an opportunity to participate in a trial for a new EPP investigational drug. Contact the APF for details. YOU are our hope for the future. Contact the APF on 1-866-APF-3635 or email porphyrus@porphyriafoundation.com.